Evo & Grace: The WanderLusts: ROD STEWART's "Merry Christmas Baby" Peaks at No. 1 on iTunes Philippines! 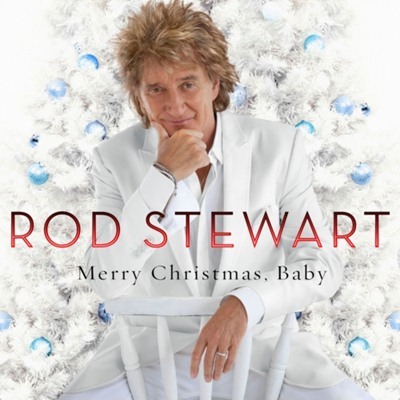 ROD STEWART's "Merry Christmas Baby" Peaks at No. 1 on iTunes Philippines! December 21, 2012 --- Two-time Hall of Famer ROD STEWART peaks at No. 1 on iTunes Philippines with new album "Merry Christmas, Baby" beating Michael Buble! "A Very Special Christmas 25th Anniversary (Various Artists)" jumps to No. 7 on iTunes' Top 10 Albums! Meanwhile, Maroon 5's "Overexposed" album breezes back to the charts at No. 9! Get these best-selling albums on iTunes! MERRY CHRISTMAS, BABY -- an album of standards and traditional songs produced by David Foster, finds Rod Stewart joined by a number of A-list guests, starting with Michael Bublé, who duets with Rod on “Winter Wonderland.” “We Three Kings” is a duet with Mary J. Blige; and the title tune “Merry Christmas, Baby” is a duet with Cee-Lo Green featuring New Orleans’ favorite son, Trombone Shorty. “Let It Snow! Let It Snow! Let It Snow!” features Dave Koz on saxophone and “What Are You Doing New Year’s Eve?” is a very special ‘virtual’ duet with Ella Fitzgerald featuring Chris Botti.